...Very simply put, it’s beautiful. 'Celebrating 2 years of Togetherness...' - published 29th November 2011. ...and I’ve managed to see it ‘WITH’ my wonderful Japanese blogger friends. Sharing joys and asking for your blessings..
An excerpt from the post - 'My Yatra Diary Goes International' - published 31st May 2012. I trust you and your blogs to be doing great! Seems like such a long time since I penned down something here. I have been badly missing writing my own entries as much as reading yours... My already rusted writing is getting a bit more rustier with each passing day and I realize that before it vanishes out completely, I need to do something about it. So, while I try to get my pen rolling on my blog as well as yours, what you can do is pack your bags and get ready, because we will be embarking on our virtual Japan yatra very soon! See you there! It's really great to read the post of Japan returned Arti, now a celebrity. What a wonderful trip and such terrific captures, Arti! I'm really happy for you! Thanks for sharing it with us! Arti, I' ve already heard that you had a fabulous visit from some of our mutual blogging friends who loved meeting you in Japan! Can't wait to see the photos. Welcome back! Wow...Well done..shall wait for the virtual trip.. Looking forward to see more images from this trip. Now we look forward to your Japanese escapade! waiting for that as I havent seen Japan ..
welcome back, Arti!!! waiting to read all about Japan!! Get Set Go! Welcome Bk :) Hope you had an awesome trip! Looking forward to more details on the trip! Honestly, I cried after reading this entry. I'm so happy for you, Arti. I remember the first time I read your posts, I'm moved by your words. You're gifted to touch our lives through your own travel and writing. You deserve everything that's happening right now. I know you will go to many places. All the best for you, my dear friend. Speak with your heart always. You inspire us. I can still feel your excitement. Your heart is beating fast. A wonderfull trip you must have. Good to know that you had a whale of a time..
Write some more about the place and people especially about the bloggers you met there! Japan is such a beautiful and peaceful country with amazing people. You must have had a great time. I am so waiting for your posts. Welcome back. :D I'm glad to hear that you like Japan. Glad your dream becoming a reality. Pleased to have you back with us though. Wow , it will be really exciting to read about your experiences . congrats once again and ready to hear about your experiences ..
Hi, Arti! One month has passed since we parted and there is such a distance between you and me now, however, there is the fact that we shared the time that will last forever. I look forward to seeing Japan through your eyes. See you on Japan Yatra. Welcome back and looking forward to the post! Welcome back, Arti. I look forward to reading all about it. Welcome back Arti. Glad to see that you had a great time. Will look forward for the amazing travelogues and pictures from you! @Arti Good morning. Welcome back. Great to read you post. Thanks a lot for photographs. Hope you soon post more from Japan Yatra.Take care.Have a nice day. So, we will have international merry-go-rounds with you. Great!! I too was out and could not realize that you are not there. Now we can benefit from your travel tales relating to the land of the rising Sun. Congrats. Welcome back Arti..Waiting for your Japan Yatra Diary. Nice post on your Japan trip!! Looking forward to reading more of your posts! Oh - lucky you! Japan looks so lovely. It's on my wish list to visit. It's the best part of blogging; to see a blog friend in person! You and we Nara bloggers had a priceless time to share. 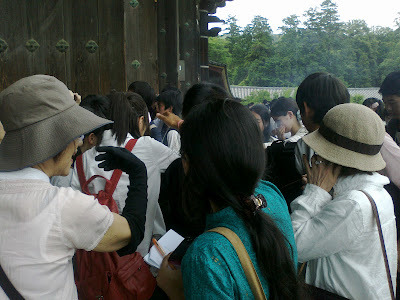 Looking forward to seeing your trip report of Japan with other blog friends in the world. Our blogs brought you and us, Nara Bloggers. It was such a wonderful moment! The world is a huge as well as small. Through you, we recognized again how close India and Japan have been since ancient times. I cannot wait for your Japan Yatra!!! Hi Arti..i came to ur blog through Indiblogger..liked ur blog very much..and looking forward to view Japan through ur words..
Nice to know that you had a wonderful trip to Japan. Waitng for the detailed post. Glad you had a great fun trip! wow, glad for you, and good to see you back, excited as well to learn more of your japan trip. Welcome back, Arti. Look forward to your posts on your Japanese adventures. Welcome back, Arti! Good to see you on your blog again. Will wait to read about your adventures in Japan with bated breath. 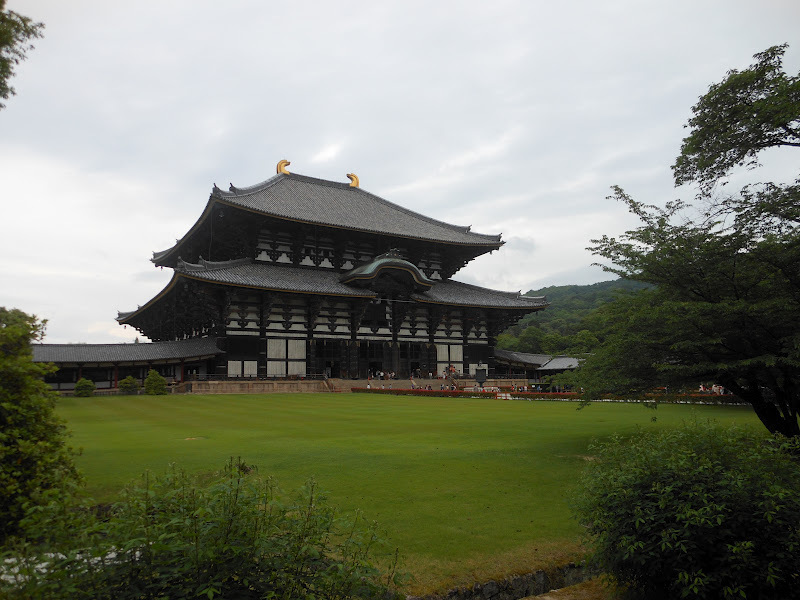 It's a short time we spent with you in Nara but we enjoyed a lot. It's a good chance to know about India through you. Next, I am looking forward to your Japan Yatra! Japan Is high on my travel destination as an Architect! I missed it once...hopefully I will soon...Waiting to see more info from you! Fantastic Arti~ Good for you for taking this big step; I can't wait to read about it, whenever you're rested up and ready! And it's lovely that you met up with blogging friends -- what a wonderful world we live in! Beautiful building, and a good photo as well. Do travelers meet some day somewhere? Is it my superstition? I find your blog very interesting. Though I don't travel much these days, but loaf around a lot in this concrete jungle - Mumbai.